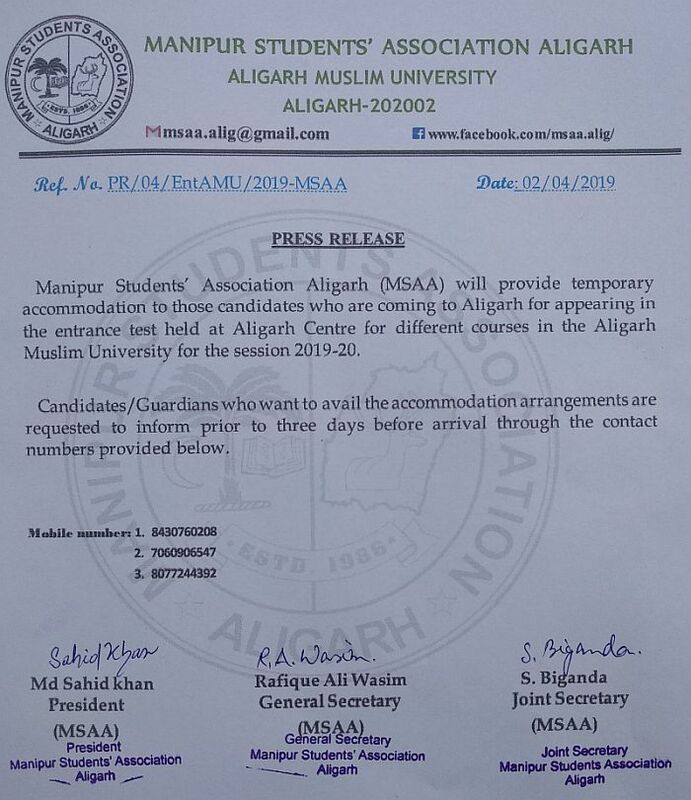 Manipur Students' Association Aligarh (MSAA), Aligarh Muslim University has informed that the association will provide temporary accommodation to those candidates who are coming to Aligarh to appear the entrance test held at Aligarh Centre for different courses in the University for the session 2019-20 . MSAA appealed all candidates and guardians, who wants to avail the accommodation, to inform the association prior to three days before arrival. MSAA also appealed all to contact 8430760208, 7060906547 and 8077244392 to know more about the accommodation.